Combine it and design it with Rusty, Ruby, and all of your friends from Sparkton Hills in this interactive adventure with 15 magnets to play with and place! 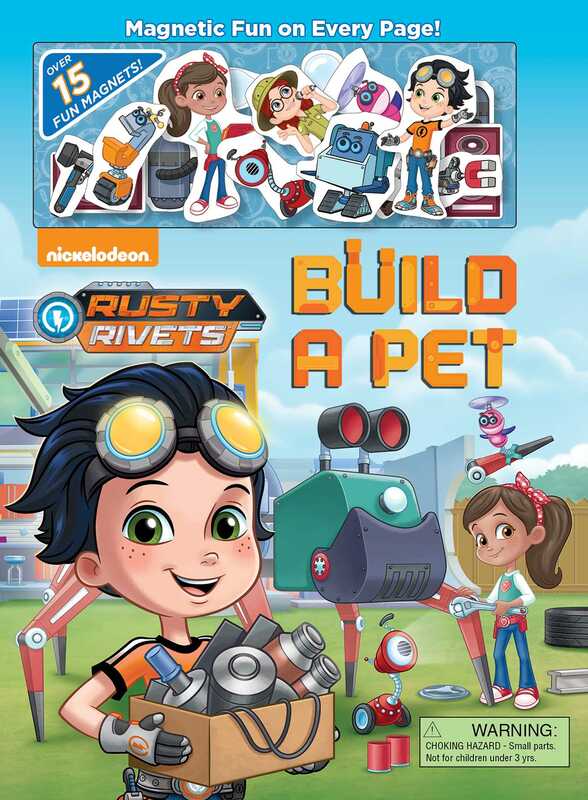 When Rusty and Ruby design a special robot pet for Anna the zookeeper, they don’t expect their creation to get spooked and run off with Rusty! Now it’s up to some quick thinking from Ruby to combine and design a rescue! Join Ruby, Rusty, Botosaur, and friends from Sparkton Hills in this interactive magnetic adventure with 15 magnets to place on the magnetic pages to play along with the story. David Aikins grew up in the suburbs of Detroit, immersed in comic books, action figures, and B-movies. In 1991, Dave was somehow persuaded to move to Ohio, studying at the Columbus College of Art & Design. After graduating in 1995, he spent four years working for a large newspaper and a commercial art studio. Now residing outside of Columbus, Ohio, he is currently running Let’s Draw Studio, the freelance illustration company he founded in 1998. Dave is primarily known for being a children’s book illustrator and Nickelodeon publishing artist. He has created numerous books featuring characters like SpongeBob Squarepants, Shimmer & Shine, Blaze and the Monster Machines, and Dora the Explorer.